A gorgeous bow is what you want on your gift basket, right? You can make one. Find out how to go from flat ribbon to beautiful bow. Which would you rather put atop your well-designed gift basket? A dazzling, multi-looped bow made by hand from ribbon? 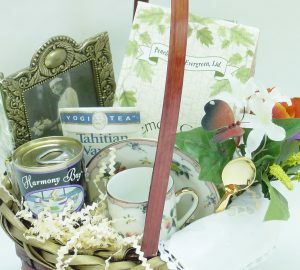 Both bows have their place in the gift–giving world, but one brings oohs and aahs from a crowd celebrating a new baby, wedding, homecoming from the hospital, retirement, or work promotion. Bowmaking is a unique skill, and just like gift basket making, no two are alike. Years ago, the subject of making beautiful bows was a popular adult school course taught by me. I brought enough ribbon to the class for 12 students to make four different bow styles in 90 minutes. It was a joy to watch each student’s facial expressions turn from confusion to astonishment as bows were completed. The only students who had minor difficulties were those with hand mobility challenges. When that occurred, I provided extra help to those participants, aiding them in completing their ribbon masterpieces. 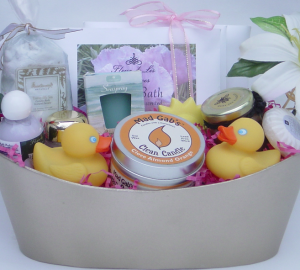 In addition to making a bow, you may also want to know how to make a gift basket. In 1992 I traveled 3,000 miles, from New York City to Los Angeles, to learn how to make bows at a seminar taught during the California Gift Show. That show is one of many gift trade shows attended by retailers searching for new store merchandise. The plane landed, and I immediately retrieved a car from the rental location, drove down the 110 Freeway to the gift show building, parked at the event, and arrived just in time in the room for the bowmaking class. My first bow, made with teal-colored ribbon, was gorgeous. Days later I stepped onto the plane headed back to New York City with my purse in one hand and the bow in the other. No way was I going to crush that handmade bow in my suitcase. Today, you don’t have to travel far to learn how to make bows for your gift baskets. Many videos are available online showing you the process in step-by-step format, including one I made featuring a one-color bow (above) and another showing how to combine two ribbons to make an extraordinary puff bow. 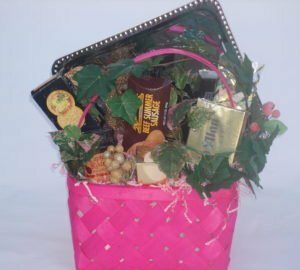 My favorite gift basket bow have always been the puff bow, which is what I share in two videos on the Gift Basket Business YouTube channel. There are many other bow styles. Which is your favorite way to go from flat ribbon to beautiful bow?